In the courts of the Lord’s house, in the midst of thee, O Jerusalem. Hallelujah. Praise ye the Lord. Now, the passage begins, “What shall I render unto the Lord for all His benefits toward me?” [Psalm 116:12]. The rendering unto our great High God of the praise and honor due His glorious name is the summation of true religion. “What shall I render unto the Lord?” Did not our Savior Himself avow that: “Render unto Caesar the things that are Caesar’s; and render unto God the things that are God’s” [Matthew 22:21]. The epitome of true and noble patriotism would be loyalty to one’s country, rendering to Caesar the things that are Caesar’s. But the summation of true and noble religion is also to render unto God the things that belong to God. “What shall I render unto the Lord for all His benefits toward me?” [Psalm 116:12]. They number like the stars in the heavens for multitudes and like the sands on the seashore, so many, God’s goodnesses toward us. For all of them, Lord as we would this day thank Thee and bring Thee praise and glory for Thy remembrances of us, Lord, may we include them all, all Thy benefits. To leave out one of the mercies of Jesus and be unthankful for even one of the kindnesses of our Lord would be to spoil the harmony of the song, like skipping over a note in the music. Lord, everything, everything, my life, my Christian home, my godly father and mother, the church in which I grew up as a boy, where I found the Savior, my pastor as a boy, the evangelist that won me to Jesus, Lord, the mercies that have attended my way for all the years since, the privilege of being an undershepherd in this incomparably precious church, the love of the people, their encouragement and prayers, daily providences, food, and clothing, and shelter, and watching over against disease and danger and death, and the promises that God hath yet to fulfill in the destiny of the world that is yet to come, O God, “What shall I render unto Thee for all of Thy benefits toward me?” [Psalm 116:12]. Then the psalmist answers. First he says, “I will take the cup of salvation” [Psalm 116:13]. That refers to a thing that the psalmist had experienced in writing this hymn. 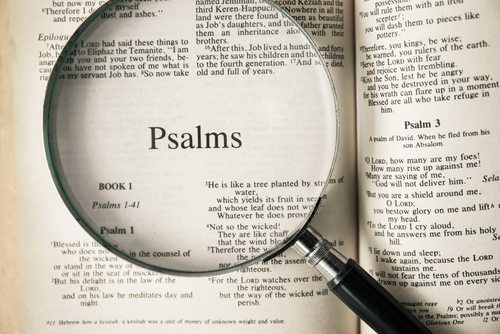 Almost certainly—it’s an anonymous hymn—but almost certainly the psalmist was present upon an occasion when there was a great deliverance of his people at the hands of God. And this is a psalm of thanksgiving because of that marvelous deliverance. And those ancient Israelites had a habit like this: the great convocation of the people, presided over by the priest, and he would hold up before the Lord a cup, and he would call the people to remembrance, that it was God that bestowed the victory. And out of gratitude to the great Jehovah Lord for the salvation vouchsafed unto them, he would drink the cup, and all the people would drink with him. It was like that upon the night of the institution of the Lord’s Supper. After the paschal dinner, the Lord held up a cup, “This represents the new covenant, the new testament in My blood; drink ye, all of you, drink of it,” and they drank the cup of forgiveness, and salvation, and deliverance [Matthew 26:27-28]. So this psalmist here says, “What shall I render unto God commensurate with all of His wonderful goodnesses toward me? [Psalm 116:12]. I will drink the cup of deliverance and salvation to the full [Psalm 116:13]. I will receive as of God’s hands the blessing of forgiveness, and salvation and deliverance.” Oh how that pleases God! I could not imagine a more cruel thing in the presence of our Lord than to spurn His love and cast aside His sacrifice, to tread underfoot the blood of the covenant wherewith He was sanctified, to do despite to the Spirit of grace [Hebrews 10:29], to refuse the cup of salvation [Psalm 116:12-13], “No, Lord, it is nothing to me; it means nothing to me.” How cruel and how merciless! Nor could I think of any gesture on our part than to reach up hands and to take. And that’s the exegesis of this unusual passage: “What shall I render unto the Lord? I will take”—what an amazing thing. Wouldn’t you expect, “What shall I render unto God for His goodnesses to me? I’ll take Him a gift. I’ll bring Him,” no. “What shall I render unto the Lord? I will take from His precious hands the cup of deliverance and salvation and forgiveness. And I will drink it to the full” [Psalm 116:12-13]. That honors Jesus and glorifies our God. From one of our poverty-stricken homes, there was taken a boy, a little lad affected with malnutrition; there was taken this little boy to the charity hospital. And the nurse came in with a big, tall glass of milk just for that little hungry boy. And the little lad seized it with his hands, and started to drink; then paused and looked up at the nurse, and said, “Nurse, how deep may I drink?” What a background of poverty and hunger in a large family of small children: a glass of milk had to be shared just so much by each one. So the little fellow before he drank, paused, and asked, “How deep may I drink?” And the nurse replied, “My dear child, to the full, all of it, all of it.” So God’s people in the presence of our dear Savior: the cup of salvation and forgiveness and blessing, we shall drink it to the full; all of it, Lord, all of it. “What shall I render unto the Lord for all His benefits toward me? I will call upon the name of the Lord” [Psalm 116:12-13]. The psalmist seems to be particularly and especially fond of that. In the second verse he says that, in the forth verse he says that, in the seventeenth verse he says that, and he says it here in the thirteenth verse [Psalm 116:2, 4, 17, 13]; four times in this brief thanksgiving psalm he repeats that: “I will call upon the name of the Lord.” And that pleases God. When He bows down His ear from heaven, He loves to hear His children call upon His name. Aren’t you like that? Aren’t you like that? Do you have a little boy? Do you have a little girl in your house? Doesn’t it please you? Doesn’t it make you happy for them to ask you for things, big-eyed, expectant, hopeful? Not that we may be able to give them a whole lot of things—sometimes they ask for things that are unbelievable, but oh, that they would look to us for that blessing and joy of bestowing. And there’s not anything that any father experiences that has richer reward and sweeter recompense than to come home and bring something for a little boy or a little girl. God is like that. God is like that. Why we don’t ask more of Him, I don’t understand. He encourages us to ask [Matthew 7:7, Luke 11:9-10; John 14:13, 14, 16:24], to call upon His name; even the mighty gift of salvation is an answer to a man’s call, asking. Paul wrote in Romans 10:13, “For whosoever shall call upon the name of the Lord shall be saved.” Ask Him. Look up to Him. Bow before Him and beseech from His gracious hands gifts that no one else could ever bestow. And for God’s sainted children to speak of the Lord is the delight of heaven in all of the mercies that God hath in store for us who love Him [1 Corinthians 2:9]. And they shall be Mine, saith the Lord of hosts, in that day when I make up My jewels; and I will spare them, as a father spareth his own son that loveth him. “I will call upon the name of the Lord” [Psalm 116:13]. What shall I render unto the Lord for all of His benefits toward me? even in Thy courts, O Lord, in Thy house. There is not any one of us but in the providences of life have made promises to God: “Lord, by Thy grace I will.” Sometimes in agony and distress, we make vows unto God. Sometimes in hours of ecstasy, and gladness, and gratitude, and thanksgiving, we make promises unto God. Sometimes in the night, in the dark, lost and seeking direction, we make promises unto God. Sometimes in moments of great spiritual commitment and consecration, we make vows unto God. “What shall I render unto the Lord? I will pay my vows now, beginning this moment, beginning this hour [Psalm 116:12, 14]; I shall remember to keep inviolate the sacred promises and commitments I have made unto God.” Do it now, beginning now; “and in the presence of all of His people” [Psalm 116:14]. Why couldn’t he keep his vow furtively, secretly, clandestinely? Why couldn’t it be a thing between him and God in some closet somewhere? The more I read this Book and the more I shepherd this flock, the more am I earnestly convinced that the public commitment of a man’s life to God is the very heart of religion! “What shall I render unto the Lord for all of His benefits to me? I shall consecrate my life anew and again now in the presence of all God’s people” [Psalm 116:12, 14]. Then he writes something that you would think is out of place: the next verse, “Precious in the sight of the Lord is the death of His saints” [Psalms 116:15]. What has that got to do with a man’s paying his vows and doing it publicly and openly? As I said, the psalm apparently is one of thanksgiving after God had given to Israel an unusual deliverance and victory. And apparently, in that contest and in that battle, there were some who stood up for God courageously, valiantly; there were some who laid down their lives. And in his psalm of thanksgiving, he remembers them: “Precious in the sight of the Lord is the death of His saints” [Psalms 116:15]. He whose eye is on the sparrow [Luke 12:6-7], so these who fell asleep in the Lord [Psalm 116:15]; and isn’t it precious and comforting to know that the hour of our death is precious in God’s sight? The Lord is there to smooth the pillow. The Lord is there to sustain the soul. The Lord is there to receive into glory His sainted child. “Precious in the sight of the Lord is the death of His saints” [Psalm 116:15]. And when some die on a foreign strand, in an inhospitable land, where no sympathetic eye beholds, or maybe nobody sees at all, God is there. And the Lord takes note, and He takes care. In the second chapter of the Book of the Revelation, in His message to Pergamos, our Lord refers to His martyr Antipas, “who was slain among you for the testimony of the Lord” [Revelation 2:13]. Who was Antipas? Nobody knows. In that long list of martyrs who laid down their lives for Jesus, he’s just one of the many unknown. That is unknown to us; but known to God. In the Arlington Cemetery, haven’t you stood there and watched the guard pace up and down, back and forth, before the sarcophagus of the Tomb of the Unknown Soldier? And haven’t you read the words written there? “Here lies in honored glory an American soldier, known but to God.” And I’ve often thought, “Dear Lord, grant that that boy was a Christian lad who died in the faith of the blessed Lord Jesus.” But whoever he was and whatever his name, known unto God. “Precious in the sight of the Lord is the death of His saints” [Psalm 116:15]. Isn’t that a remarkable word there: “precious,” precious? When God made the whole creation, the Scriptures say He looked upon it and called it exceeding good [Genesis 1:31]. All the work of His fingers and the Lord looked at it, and said, “It is exceeding good.” But at no time in the Bible did God look upon the works of His hands and say, “They are precious.” Then why should God look upon death and call death “precious,” which is the destroyer of His works? What is precious in death? Oh, my brother, this is the triumph of the work of Christ turning the waste of death into incomparable triumph and victory! The greatest and triumphant chapter in the whole Bible is the fifteenth chapter of 1 Corinthians: “O Death, where is thy sting? O Grave, where is thy victory? Thanks be unto God, who giveth us the victory through our Lord Jesus Christ” [1 Corinthians 15:55, 57]. Again, “Precious in the sight of the Lord is the death of His saints” [Psalms 116:15]. It is the occasion of the great and holy words of testimony of God’s martyrs. How we treasure the last words of our sainted dead. And from the days of Stephen, and James, and Ignatius, and Polycarp, and Savonarola, and John Huss, and Hϋbmaier, and all of the witnesses to the grace of Jesus through the ages, how precious both to the church and to God is the triumphant death of His saints. And again, it is the occasion, death is the occasion of the most marvelous miracle that God shall ever bring to pass in all of time and creation: when the very worlds, and the universe, and this earth and planet have passed away and when the monuments of history have crumbled into the dust, God’s saints shall live and reign forever [Revelation 22:5]. Why? Because God shall raise them from the dead [1 Corinthians 15:51-52; 1 Thessalonians 4:16-17], “Precious in the sight of the Lord is the death of His saints” [Psalm 116:15]. “What shall I render unto the Lord for all His benefits toward me?” [Psalm 116:12]. First, he said, “I will take the cup of salvation” [Psalm 116:13]. Second, he said, “I will call upon the name of the Lord” [Psalm 116:13]. Third, he said, “I will pay my vows unto the Lord in the presence of His people, even at the cost of death” [Psalm 116:14]. And last, he says, “I will offer to Thee the sacrifice of thanksgiving” [Psalm 116:17]. In the thirteenth chapter of the Book of Hebrews, in the fifteenth verse, the author says, “By Him,” by our blessed Lord, “therefore let us offer the sacrifice of praise to God continually, that is, the fruit of our lips giving thanks to His name” [Hebrews 13:15]. “I will offer unto God the sacrifice of thanksgiving [Psalm 116:17]. I shall be grateful, Lord, for whatever comes, whatever turn, whatever providence, whatever fortune; Lord, I shall receive it as from Thee. And I shall thank Thee for it. May not understand it now, may not see to the end of it now, may not be able to encompass it now, may receive it in the weakness of the flesh, with sorrow and grief and maybe despair, but Lord, in Thy help and mercy, I shall be thankful for whatever comes. And I shall offer unto Thee the sacrifice of thanksgiving” [Psalm 116:17]. In the days of the Depression—and, you know, isn’t it strange this new generation has no idea of the Depression—I began my ministry in the Depression. Cotton was selling for five cents a pound. The people to whom I ministered would take their cotton crop to the market in the fall time; it didn’t pay the grocery bill for the year, and they lived increasingly in debt. Up and down the streets of these cities, the people, professional, lawyers, architects, engineers, construction men, they walked the pavement seeking a little bit by which they could keep family life together. Those were heavy days and cruel days. In those tragic days, there was a construction worker finding a little work here, a little work there, but mostly nearly starving to death; had a large family of six small children. And the children of course, typical children: the boys would take their scooter and use their shoes for brakes, as they’d ride down the hill. And the one little girl in the family skipped the rope on a sidewalk. And as time passed, and inevitably anyway, the shoes wore out. So school time came, and they had to have three pairs of shoes, one for the little girl who skipped the rope on the sidewalk and two pairs of shoes for two boys who used their shoes as brakes for their scooters going down a hill. And the father felt resentment in his heart, “Why do those boys have to wear out their shoes on that pavement, and that little girl wear out her shoes skipping the rope on the sidewalk?” But whether or no, three pair of shoes, and he had no money to buy them. The construction worker said that night when he went home he got out those three pair of worn out shoes, and laid them before God, and thanked God for them, and for two boys who could use them for brakes riding a scooter down the hill, and for a little girl who could wear them out skipping rope on the sidewalk. “I will offer unto Thee the sacrifice of thanksgiving” [Psalm 116:17]. This is anonymous, but evidently it was written by a sweet, godly woman. “I will offer to Thee, O God, the sacrifice of thanksgiving” [Psalm 116:17]. And Lord, when I find fault with my lot and have restive under my estate, dear God, forgive, forgive. And help me to be grateful always, Lord, for any providence that shall come into my life, “knowing that all things work together for good to them who love God, to them who are the called according to His purpose” [Romans 8:28]. And in this Thanksgiving Day, Lord, anew and again, to dedicate unto Thee all that life shall mean, God bless forever. And now while we sing our hymn of praise and appeal, somebody you, give himself to Jesus; a family you, coming into the fellowship of the church; a couple you; one somebody you, however the dear Lord shall say the word and lead in the way, come now. What a glorious hour in which to respond. What a precious moment to come. “Pastor, I give you my hand; I give my heart to God.” “I want to renew my vows to Jesus.” “We want to put our lives in the church.” “I want to take the Savior as my own.” As the Spirit of Jesus shall say the word, come; there’s time and to spare. If you’re in that topmost balcony on the last seat, there’s a stairway on either side at the front and the back, come. Into the aisle on this lower floor, come. As the Spirit shall press the appeal to your heart, make it now, make it now; while we stand and while we sing.